This down-to-earth documentary explains in simple terms, with hands-on demonstrations, how we all can start using solar energy, wind power, breathing walls, straw bale home construction techniques, passive solar design, smart windows, green roofs, and composting – today! You’ll meet the experts as they explain how to make Natural Living work for you. You’ll see it all in action: a wind turbine, solar panels, the hydro meter running backwards, grass on the roof, and a furnace the size of a bread box that doesn’t burn fossil fuels. Here is a documentary that breaks down many of the barriers to a sustainable lifestyle, and shows what is attainable today. I truly believe that, as in my own case, once people see what others have achieved, they will be inspired and emboldened to make the changes suggested in this documentary. Order now on-line using your credit card with PayPal (a secure payment system used with eBay). Order now and we will include all 3 DVDs below and a free 300 page eBook. Simply use the Buy Now button above and we'll rush you the three most useuful videos about how to create a sustainable home, business and lifestyle. Only available through this web site. This documentary about how people and communities using Renewable Energy provides hope that we will achieve a sustainable future. Renewable Energy sets the stage for a world where political and social autonomy is possible, energy crises are history, climate change is halted, and oil/nuclear war is averted. See how it's possible to live an ethical existence today while providing hope for a better future for our children. 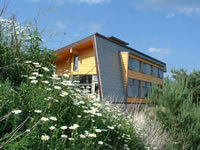 The Solar Village is a documentary video that explores how we can create sustainable communities today. See a zero emissions factory, solar apartment house, and wind power development. This documentary tells the story of how a family found a way to use the power of the sun to reduce their impact on the natural world. If you've always wanted to see how it all works, explained in plain language, then this is the video for you. This down-to-earth book explains in simple terms, how we all can start using solar energy, wind power, breathing walls, straw bale home construction techniques, passive solar design, smart windows, green roofs, and composting – today! You’ll learn how John Wilson and his family made their dreams come true as they explain how to make Natural Living work for you. 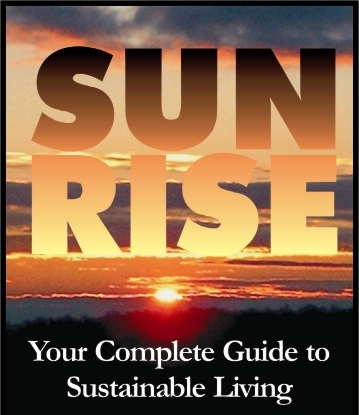 Here is the book that breaks down many of the barriers to a sustainable lifestyle, and shows what is attainable.